Beinvenido a nuestra Cantina! 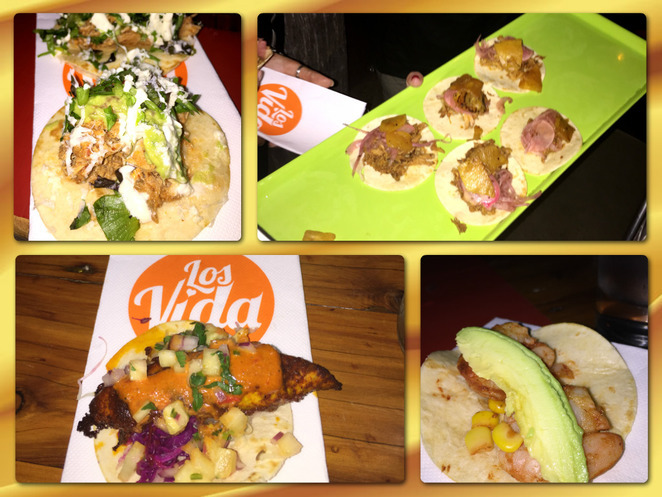 Los Vida Mexican Bar and Restaurant has now arrived at 419 Pacific Highway, Crows Nest. 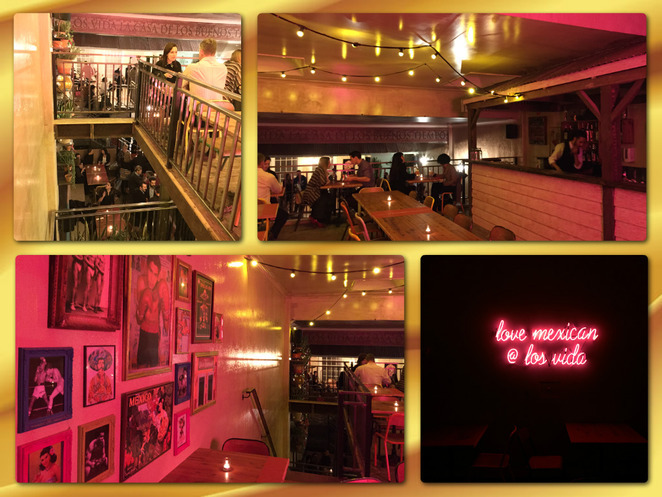 One of a trio of fabulous new Mexican Bar Restaurants opened by co-owners Mark Dopson (former ex Ruby L'otel, Sumo salad director) and Octavio Gomez-Haro (marketing leader, importer of Mezcal and luxury goods). 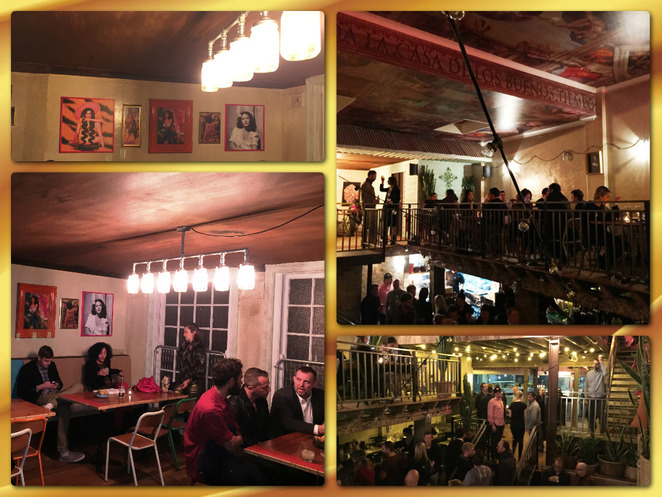 This new venue celebrates both the traditional and contemporary aspects of Mexico in a totally cool hip style with an emphasis on healthy authentic Mexican cuisine. Not forgetting a bar list featuring kick-arse Mezcals, Tequilas, Daiquiris and Margaritas. Stepping through the entrance door the first thing to catch your eye is the Day of the Dead inspired artwork in the vein of La Calavera Cantrina. 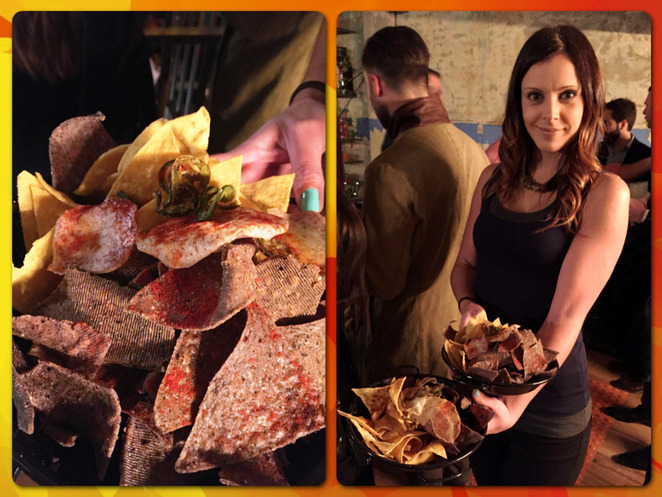 As it was the launch party, we were instantly offered a drink from a selection wine, daiquiris and imported beers. The visual feast continues through to the atrium core of the three level restaurant and bar. 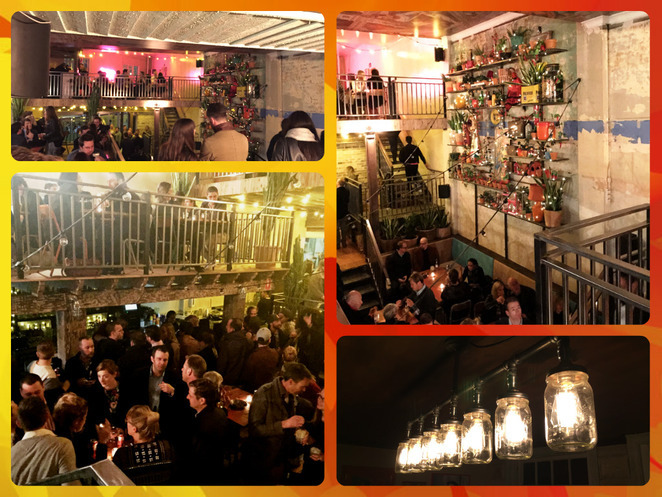 Splashes of colour highlight the funky feature wall, full of mexican curios, retro-style photographs, colourful terracotta pots with cherry red chilli plants and cactus. Hanging lights with warm exposed bulbs add to the dynamic and stimulating interior. 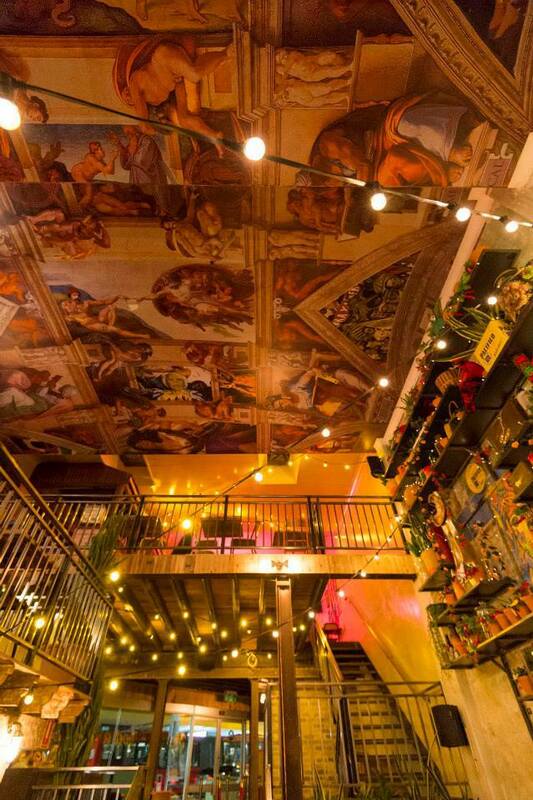 The most notable outstanding feature is the ceiling mural reaching high above the three levels, designed by Adam Ziino. His take on a mexican version of Michelangelos Cistine Chapel is the perfect conversation starter and brings warmth and colour to the bold spacious interior. To the right on the lower level is the main bar, rustic in design with exposed timber beams overhead, long green marbled granite top and mosaic inlays reflecting the traditional mexicano style. 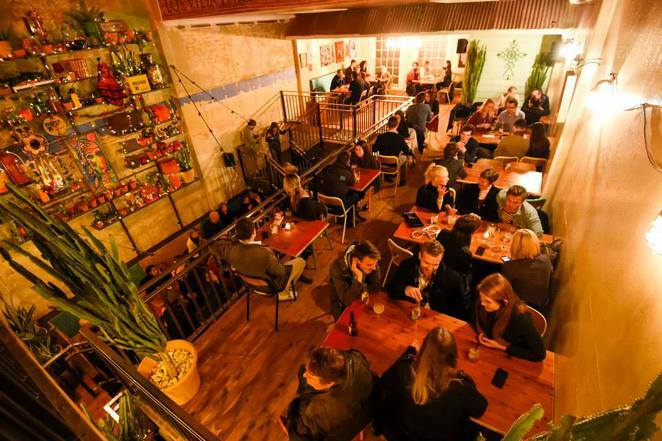 Bar Managers Rodrigo Vego and Ulysses Svoronos have created a simple but tantalising bar menu that accentuates the feisty flavours you would expect in a Mexican bar. They boast on having the largest boutique Mezcal and Tequila list so you will have plenty of poisons to indulge in. 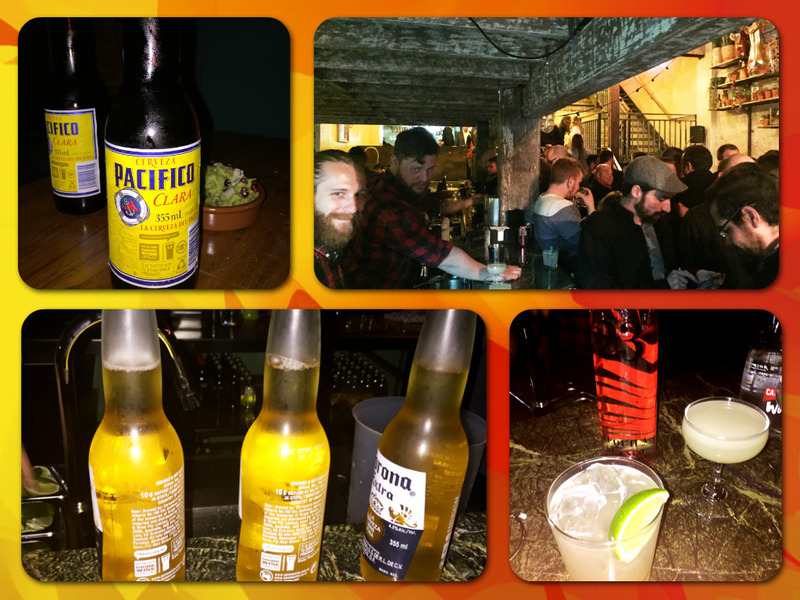 Hahn and Super Dry is available on tap along with other imported beers and ciders including Cerveza Pacifico Clara, better known as Pacifico, (Mexican Pilsener - style lager). If you are a wine lover, you haven't been forgotten with a selection of good Australian drops from WA, SA and NSW. The party was getting fired up as the crowd engulfed the venue. Everyone was enjoying the lively atmosphere, delicious drinks and the start of rounds of mouthwatering tasty bites. Los Vida also features more laid back upper levels either side of the atrium, where there is also a bar. You can sit back and have a chat or enjoy the view down through the atrium. Chef Pablo Galindo Vargas has tailored his menu with a modern take on Oaxacan cuisine. This is no Tex Mex restaurant so you won't be finding an American style burger here. The menu is based on the staples of corn, beans, chilli peppers with a variety of other fresh ingredients covering regional flavours with meats to seafood. 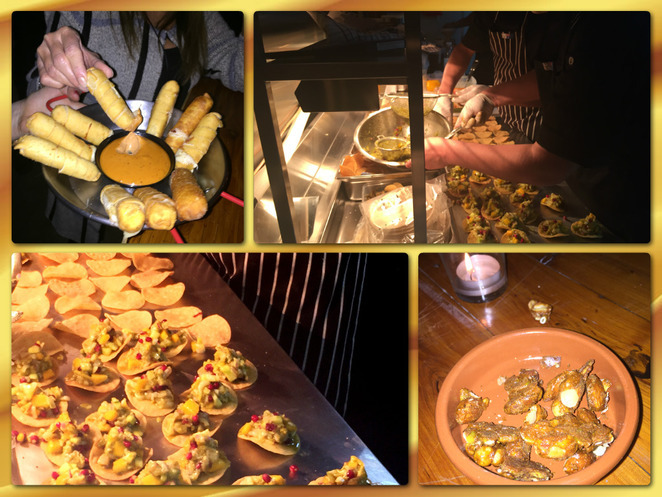 Mexican street style bar snacks, ceviches, fresh salads, traditional mains such as enchiladas, beef briskets and a few unusual dishes like hibiscus flower Flautas (crispy fried hibiscus flower, tasty cheese wrapped in crunchy corn tortillas, salsa verde and queso fresco). I would definitely be back to explore the menu but for now was excited to try the party bites. First up were deliciously crunchy corn chips with fresh guacaomole dip sprinkled with what looked like pomegranate seeds. The kitchen was pumping out little tasty zest filled tortillas filled with tuna and scallop cerviche. These little tempters packed a lip smacking punch of zesty citrus and spices perfect to wash down with a gulp of chilled beer. Followed by rounds of shredded chicken, braised pork and chipotle prawn tacos with my winning favourite of the night - the Yacutan Fish (Barramundi) Taco. After a few more Margaritas and more food we had to conclude that the launch of Los Vida Crows Nest was a great success and just what the area needs. Open 7 days for lunch and dinner, you should also keep in mind there is private function space catering for up to 50 people. 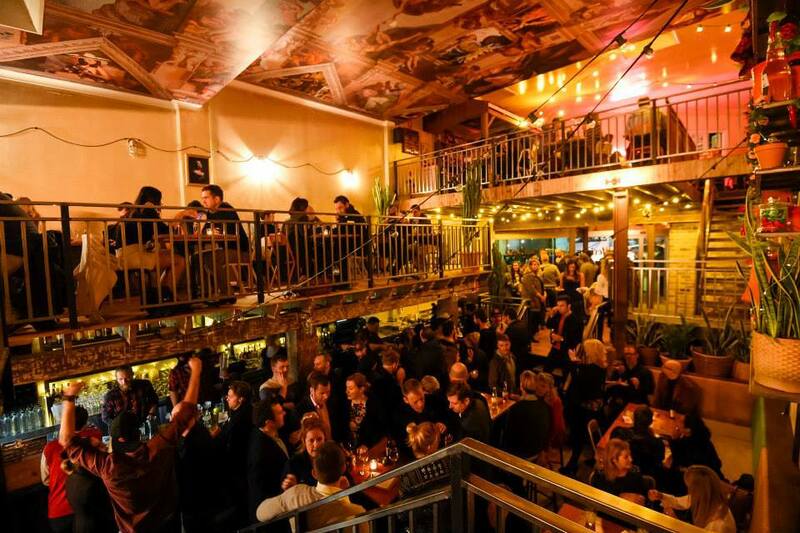 An ideal fun venue for your next celebration. I feel pretty sure this bar will be a hit with the locals and inner city dwellers alike, so check it out soon. What a fascinating building! You're right Sea, it would be a good conversation starter. Food looks delicious too.